I can't believe it's the end of March already, where have the past four weeks gone?! The clocks went back on Sunday which means Spring is officially here! Spring is definitely my favourite season as flowers start to bloom and the weather tends to improve a little, if also means summer is on its way. March has been an okay month, I haven't been working a lot so I've been making the most of time at home writing blog posts and job hunting. 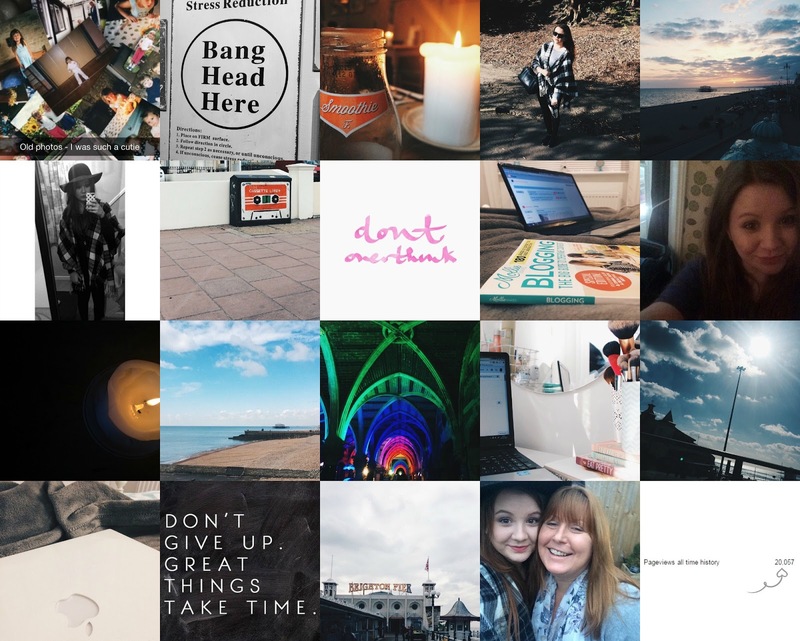 I've made sure I've stayed organised with blogging and kept up with posting every other day. If you follow me on Twitter you'll be aware my laptop is currently broke, it won't charge anymore and I'm hoping my boyfriend can fix it before I throw cash at a shop. You may also know I smashed my phone last week when I went to Brighton, I haven't been having much luck. So, let's talk about Brighton. I went with my boyfriend for three days and it was lovely. I've been before so I was pretty clued up on what to do and where to go, it was just difficult choosing where to eat as there's hundreds of cafes, bars and restaurants and I'm a fussy eater. When my laptop is fixed I shall be posting all about my time in Brighton including an OTTD and a vlog so keep your eyes peeled.